Today, 25 years and many failed attempts later, an AIDS vaccine seems as elusive as ever. New HIV infections still greatly outpace the number of people being brought onto anti-retroviral treatment, with some 2.5 million new HIV cases worldwide in 2007, including nearly half a million children. That same year, more than two million people died of AIDS. Back at square one, a group of researchers at Rockefeller University in New York City have some new ideas  and no shortage of optimism  about how to find the holy grail of AIDS research. Their approach to vaccine development, outlined online on March 15 in the journal Nature, is to abandon the as yet fruitless search for a magic bullet  which zeroes in on just one cellular target to halt the virus  and instead try to mimic the body’s natural, if rare, and more diffuse defense against the virus. In a very small fraction of people infected with HIV, the body’s immune response is able to control the virus and prevent it from progressing to full-blown AIDS. Rockefeller scientists found six such people with high levels of the antibodies that inhibit HIV proliferation and keep it from invading new cells. Taking blood samples from these special few, the researchers isolated the antibodies and set about discovering how they work. It sounds simple. But this reverse-engineering approach, finding inspiration for new vaccines by studying HIV immunity in nature, would have been impossible back in 1984  or, indeed, until just a few years ago. 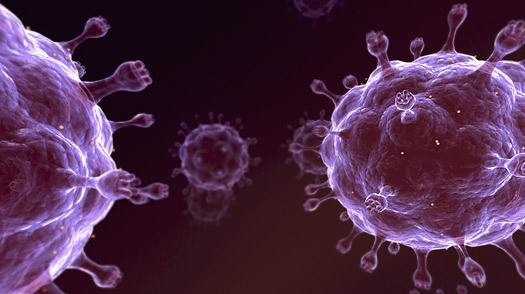 Too little was known about the virus structure or about the human immune system in general. One recent necessary breakthrough, Nussenzweig says, was finding a way to identify the blood cells that create HIV-specific antibodies. It was only after those cells could be separated from the bloodstream that scientists like Nussenzweig and Johannes Scheid, the first author on the Nature paper, could begin to study them properly. In fact, the search for an AIDS vaccine has been thwarted over and over by the tricky, unexpected nature of HIV, whose behavior is only now coming to be understood. The human immune system does not appear to develop an effective HIV response simply by being exposed to a virus surface protein or two  an approach that has worked for many other vaccines in the past. A hepatitis B shot, for example, contains rearranged, non-pathogenic bits of the virus that causes the liver disease. The body produces antibodies in response to the vaccine, conferring immunity if the live virus is later introduced. This was the approach used by VaxGen’s AIDSVax, the only AIDS vaccine candidate that has so far made it to Phase III testing, the final stage before clinical approval. That vaccine was designed to spark an immune response to a surface protein called gp120. But results of that trial showed in 2003 that the vaccine was insufficiently effective. To date, dozens of AIDS vaccine candidates have been tested in trials, and none seem especially promising. Today, there are a few other vaccine candidates in early phase trials, including compounds that combine two previously tested candidates, just in case they turn out to be effective together where each failed individually. Since Merck’s setback in 2007, however, some scientists have questioned current vaccine development tactics. And some researchers, including those in Nussenzweig’s lab, are now trying to produce HIV immunity through antibodies; but despite good results in primates, they have so far had no luck in humans with a single-antibody vaccine. One major problem with HIV is that the virus mutates in the body very quickly, so the immune system doesn’t always recognize the virus as something it’s encountered before. This is a stumbling block for vaccine makers, but it’s also the reason that so few people are able to control an HIV infection naturally, like the six people studied in Nussenzweig’s lab. Now, understanding this process could be key to the next vaccines. “It’s just that the antibodies are too late,” Nussenzweig says, referring to the typical human immune response. “The antibody is always chasing the virus around. You get an antibody. It has an effect. Then the virus mutates away from it.” The body then creates new versions of the antibodies to tackle the new mutated virus  but the virus is already mutating again. “The antibodies can never catch up,” he says. See pictures of the global fight against AIDS, malaria and TB.